In 1970, after Star Trek was cancelled, Nimoy opened up an exotic pet shop. 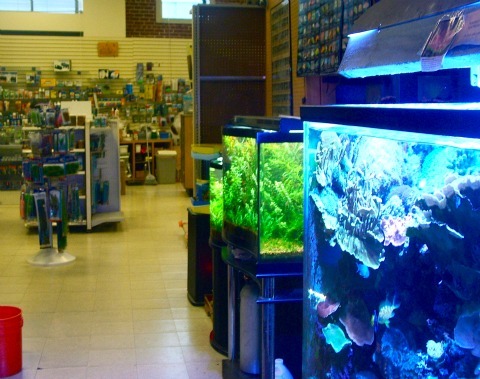 Imagine shopping for some tropical fish and running into Spock behind the counter. You’d probably freak out a lil’ bit. 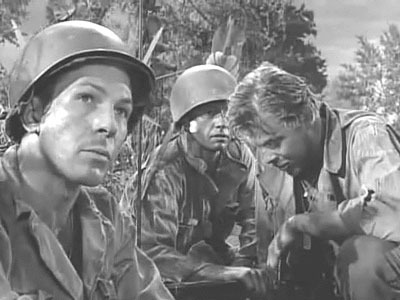 Nimoy appeared opposite Dean Stockwell (of future Quantum Leap fame) in “A Quality of Mercy,” the 80th episode of the Twilight Zone. The episode originally aired in 1961 (five years before Star Trek). This episode from the third season of the TV series was later adapted into the first portion of Twilight Zone: The Movie, the feature film that was released in 1983. Nimoy speaks fluent Hebrew and Yiddish. He has a Master’s Degree in Education and he was awarded an Honorary Doctorate of Humane Letters from Antioch University for his efforts in Holocaust Remembrance. He published his first book of poetry, “You and I” in the 1977, and has published several more volumes of poetry over the years. He also dabbled in some playwriting and hosted the awesomely educational program In Search Of… from 1976 to 1982. The dude’s smart. 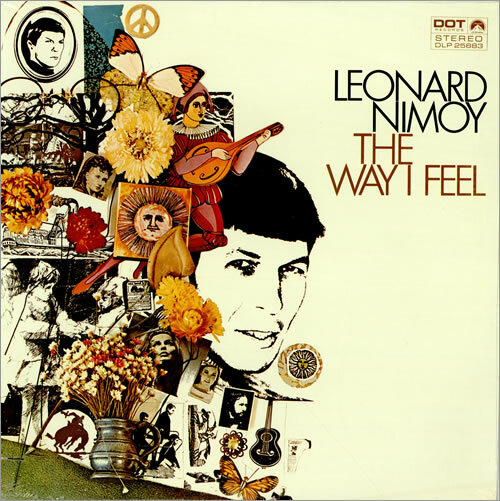 The video up top is for the “Ballad of Bilbo Baggins.” Nimoy also covered “Proud Mary” (seriously), did a super slow-head rendition of Bobby Hebb’s “Sunny,” and put out some seriously spacey-loungey tripout tracks like “Music to Watch Space Girls By.” (Click that link, you won’t be sorry). I don’t know how this pairing got started, but Nimoy hooked up with The Bangles and directed (and appeared) in the music video for the song “Going Down to Liverpool.” Check it out. The original Transformers movie was the best. Sure, Michael Bay and Megan Fox can put on a good show, but the original cartoon movie had a kickass 1986-flavored soundtrack from Stan Bush. The Touch wasn’t the only highlight though. 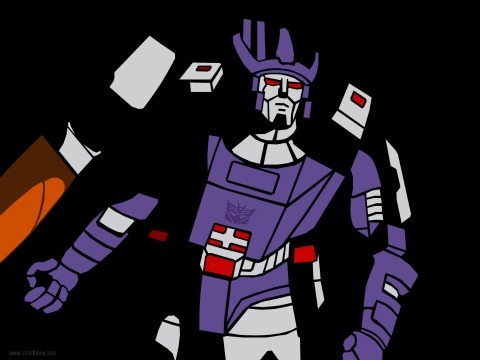 The film also featured some heavy-hitting voice acting from Robert Stack, Orson Welles and Leonard Nimoy, who put his voice behind Galvatron, leader of the Decepticons. Speaking of Michael Bay, Nimoy’s been married to Bay’s cousin, Susan Bay, since 1988. 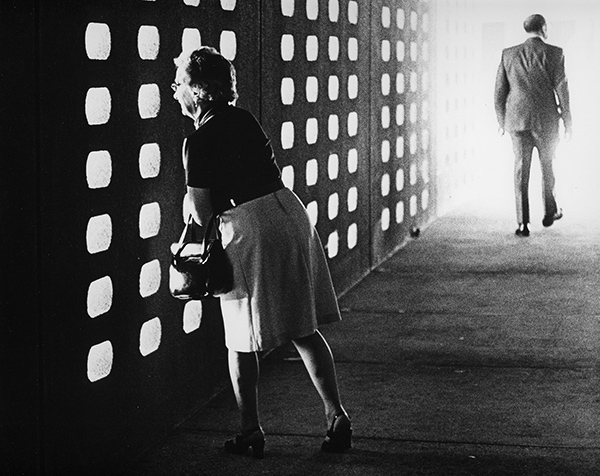 Leonard Nimoy studied photography under Robert Heineken at UCLA in the 70s. His work was recently on display at the Massachusetts Museum of Contemporary Art, and according to R. Michelson Galleries, Nimoy’s work can be seen at The Museum of Fine Arts, Houston, The Judah L. Magnes Museum, The LA County Museum of Art, the Jewish Museum of NY, The New Orleans Museum of Fine Art and The Hammer Museum. Dude also received an “artist in residence” appointment from the American Academy in Rome. Check out his galleries to see for yourself. Nimoy, along with his wife Susan, donated $1 million dollars to the renovation effort of the Griffith Park Observatory in Los Angeles. Nimoy now has a theater at the observatory named after him, the Leonard Nimoy Event Horizon Theater. 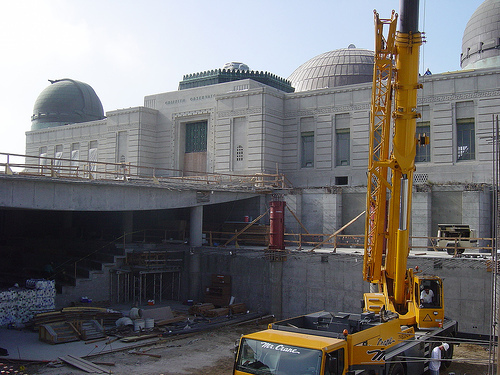 He narrates a documentary that can be seen at the theater called The Once and Future Griffith Observatory. Nimoy has directed five feature films including two Star Trek films – Star Trek III: The Search of Spock in 1984 and Star Trek IV: The Voyage Home in 1986. He also directed the highest grossing film of 1987, Three Men and a Baby. If you haven’t seen this timeless Selleck-Gutenberg-Danson classic lately, you’re missing out. 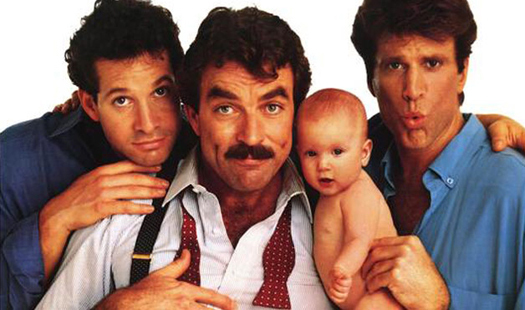 Back in ’87, it was totally acceptable for a woman to leave her baby on the doorstep of an apartment shared by three straight dudes who love short shorts. Things were different then. You’d have to watch this time capsule buddy flick to really understand the era. So there you go. Nimoy’s an accomplished actor, scholar, poet, photographer, musician, director and exotic pet shop owner. 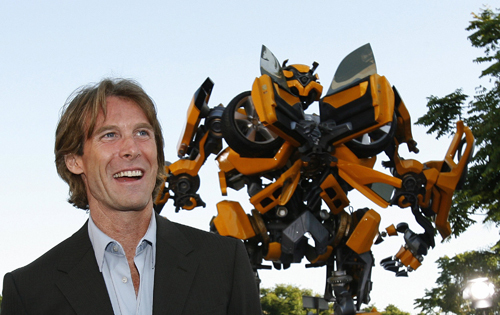 He’s philanthropic, down with Transformers and he’s responsible for Three Men and a Baby. That’s a pretty sick set of accomplishments. Add on the whole Spock thing, and you got yourself a legend. Print article This entry was posted by Chris Stout on November 15, 2010 at 4:08 am, and is filed under Entertainment. Follow any responses to this post through RSS 2.0. Both comments and pings are currently closed.